Basic scientific research and technological development have had an enormous impact on innovation, economic growth, and social well-being. Yet science policy debates have long been dominated by advocates for particular scientific fields or missions. In the absence of a deeper understanding of the changing framework in which innovation occurs, policymakers cannot predict how best to make and manage investments to exploit our most promising and important opportunities. 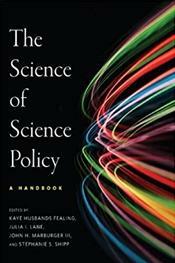 ..The contributions in this book provide an overview of the current state of the science of science policy from three angles: theoretical, empirical, and policy in practice. They offer perspectives from the broader social science, behavioral science, and policy communities on the fascinating challenges and prospects in this evolving arena. Drawing on domestic and international experiences, the text delivers insights about the critical questions that create a demand for a science of science policy.